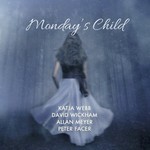 Monday's child / Katja Webb, David Wickham, Allan Meyer, Peter Facer. 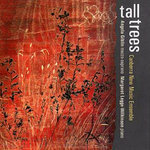 Tall trees / Canberra New Music Ensemble. Anthology of Australian music : Campbell, Fogg. Anthology of Australian song. Volume one. [Banquo's buried]. Woman's song : songs by Australian women composers / Helen Noonan ; Peter Locke. Difficulty: Medium — 'For a child' and 'In the dim counties' are on AMEB Grade 6 syllabus. Contents note: For a child -- When kisses are as strawberries -- May -- In the dim counties -- Song be delicate. 1 Nov 12: Salon - Melbourne Recital Centre, VIC. Featuring Merlyn Quaife, Amir Farid. 1 Nov 2012: at Songlines of the Heart (Melbourne Recital Centre, Primrose Potter Salon). Featuring Merlyn Quaife, Amir Farid. For many years I have enjoyed singing these settings of lyrical Australian poet John Shaw Neilson. Easy to approach, they are a charming set of miniatures from the more substantialand dramatic 'May' to the cheeky 'When kisses are as strawberries'. Although individual songs may be familiar, the cycle as a whole is worth study.